Non-domesticated outdoor animals are just as important to us as your cuddly indoor critters! Not only do wild birds add a fantastic array of life to your garden but also an amazing dawn chorus. 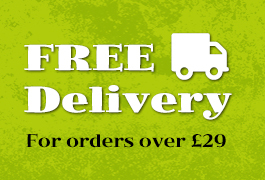 Treat your wild bird to one of our delightful treats. Perhaps some nyjer seed for the gold finches or some peanuts for the woodpeckers and everything inbetween - we have a wide range of wild bird food supplies for your feathered friends. Johnsons Dried Mealworms for Wild birdsA nutritious treat, rich in proteinGive separately as a speci.. This micro-seed is rich in oils & highly nutritious. It will entice some gorgeous birds such as .. Peanuts are a high energy wild bird food for all garden birds. We select only the best quality peanu..
Sunflower hearts are one of the favourite seeds among all garden birds. 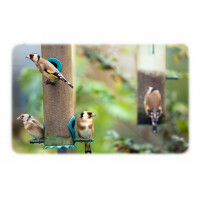 They attract all garden bird..
Attract all types of garden bird to your bird table with the Fin & Fur Wild Bird Food. This pre..